Post the age of twenty five our knowledge base is full of these words and more. Most of us by the virtue of our education get boggled down or perhaps up by one or more of such words. It demands a lot of time off us and not to forget immense energy. I recently had a conversation with one of my friends who was hell bent on knowing my views on communism. I of course was slightly amused because honestly the political ideology I hold today can easily be called most weird ever. Anyways. Are you interested in knowing my answer? What I basically wish to express is that crossing the quarter of a century mark do not weigh yourself down by things or concepts literally built over centuries. Rather create your own set of things and beliefs and follow them. What is it that you have shed off? Another ism subtracted from life? Share your thoughts with us. I like Richa-ism 🙂 A profound post about making your own set of rules and following them boldly…love it. Richa-ism. I like it. It’s a ‘To each, his own’ -ism. 🙂 An interesting approach! Richa-ism rocks!!! Very profound and how relevant.. In todays highly mass opinionated world.. It is very important to hold your own ground with your own thoughts .. My-Ism that is what we all need to follow … I may not voice out my-ism all the time because sometimes it is futile and sometimes not so important that other people also know or opine on your beliefs..what is important is that you know and you also know how to let all the other isms go… Lovely post yet again !!! I am yet to shed a few ism….i like Richa-ism though 🙂 also yes! it is not dreaded, it’s golden thirty…good post girl…i love the picture. My philosophy is based upon “Do unto others as you would have them do unto you.” Spread some sunshine along the way as you go along in life; Don’t be a messenger of gloom and doom; Be a truly caring person; Help other people around you. I’ve long past the age of 30. Next month (should God allow me to live till then) I’ll be 81 years old. I stay busy; writing, quilting, singing, being happy. I enjoyed your posting. Best regards to you. P.P.S. Ooops; they’ve changed it again to 789. Sorry. Amen, Richa…..let’s follow our own isms! 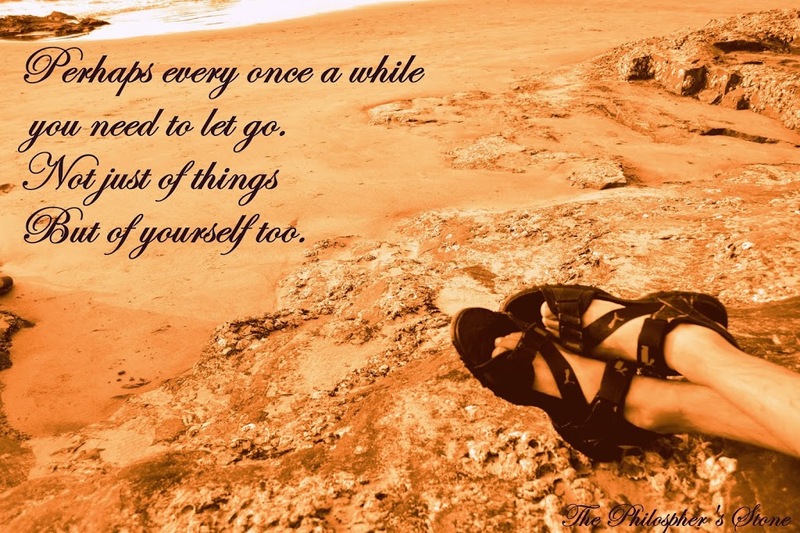 I let go of everything (almost) I held close to myself at one point. After much thought did i pick what i felt was necessary. Feminism, friendships, family, Reading and Writing and some amount of prioritization made their way back to my life! Now this is a new religion, I hadn’t heard of! But I get what you mean – at the end of the day we have only have ourselves to believe in. Once we cross that 50 mark, we learn to shed all isms – including our own ism and realise that the only ism that exists is the ism of the Lord. It’s the best ism I have ever encountered. Like your I word. It gave me food for thought. Congrats on the maturity you display. Richa-ism is good as long as you don’t inflict others with it – which you don’t do, of course. Isms are not bad, not unavoidable either. creating your own set of beliefs.. that’s how we should live.. It’s tough… but we have to! !